A page some weeks back looked at the planning application for the former fire station/chapel buildings on the corner of Clifford Street and Peckitt Street. The scheme had a number of comments submitted in support, early on, from quite far afield in some cases. Since then many objections have been submitted. They’re online on this link (or search here for reference number 15/02155/FULM and look for the Documents and Comments). Jonathan Kenyon, Development Management Officer at City of York Council (PDF on this link), cites the various ‘valid material considerations’ raised by the objections as grounds to refuse the application. He suggests in a letter to the applicants that the scheme is withdrawn and re-considered. So it seems unlikely to go ahead and be approved. But of course that’s not the end of the story as there will be other proposed schemes for the site. And the application has meant that attention has focused on the buildings, and the considered responses to the proposed scheme help us better understand and appreciate what’s there already. The chapel facade on Peckitt Street is the most obvious ‘historic’ part. 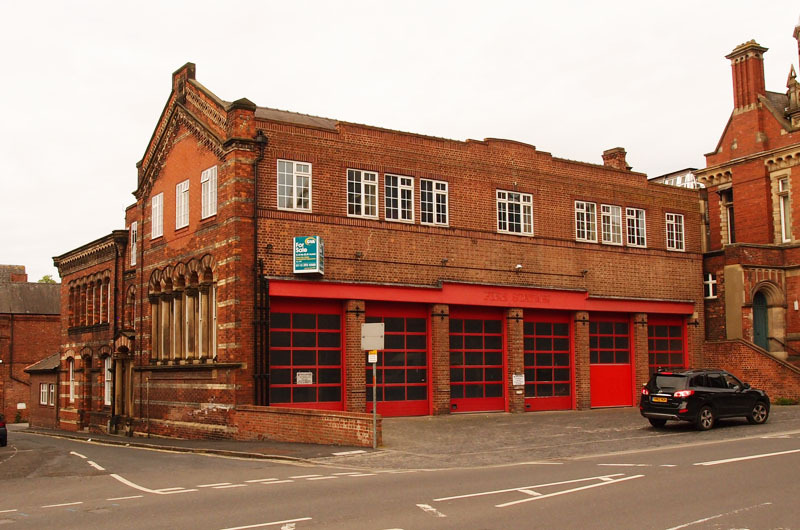 But, as mentioned in my earlier piece last year when the disused fire station went on the market, the reuse as a fire station is interesting in itself. The building on that prominent corner has such a visible/identifiable story or stories, in the rather surprising reuse of a chapel as a fire station in the 1930s. I wondered what was on record, perhaps in the council minutes of the time, regarding this inventive example of reuse and retention. On the one hand it seems very functional and practical, doesn’t it — we need a fire station in the city centre, there’s an old chapel, let’s put it in there. But why, in the late 1930s, did they not clear the site then and build a new fire station? Why did they keep and adapt the old chapel? And because they did that, 70-plus years ago, should we not give it more respect now? Are we actually less enlightened and appreciative than that generation of York citizens? … the chapel came out of its reconstruction surprisingly well. From Clifford Street you saw a well laid-out modern building; turn the corner and you had a Victorian frontage of some gusto. What lay behind this treatment? Obviously York had limited resources and the main requirement was to get an efficient modern building at minimal cost; that the new fire station subsequently functioned for three-quarters of a century suggests that this aim was fully met. Given that the chapel was in essence a big hall, its partial reconstruction was a very cost-effective way of achieving this. The issue then was – would there be any merit in cosmetic changes to the Peckitt Street frontage in order to match it to Clifford Street’s new image? At a time when Victorian buildings were regarded with distaste by most connoisseurs, this would have been very tempting but would have involved needless work and expense. Yet why treat the remains with such care? – because that is how architects of that period had been trained to behave. While ‘conservation’ as a general concept lay well in the future, you were not expected to needlessly butcher the details of a building, whether you liked them or not. 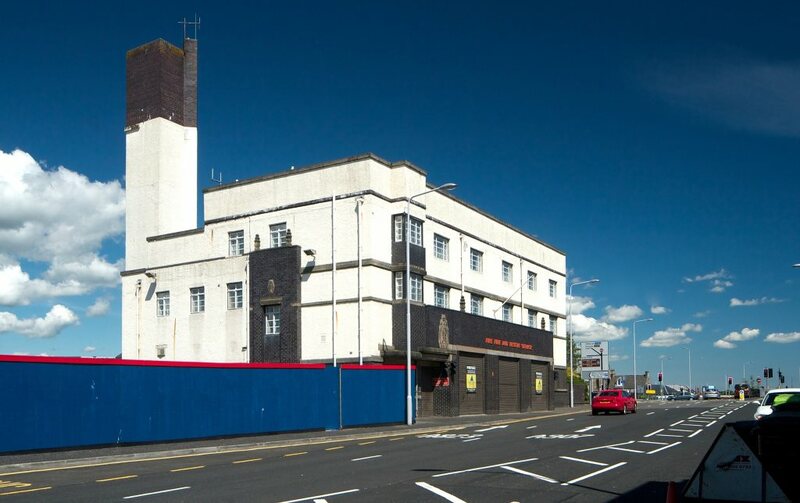 Thinking about this building prompted me to look for other examples of 1930s fire stations, to see what other towns and cities had built, and what they were doing with these buildings now. Closer to home, a 1937 fire station at Gipton, Leeds, is set to be reused as a community centre. 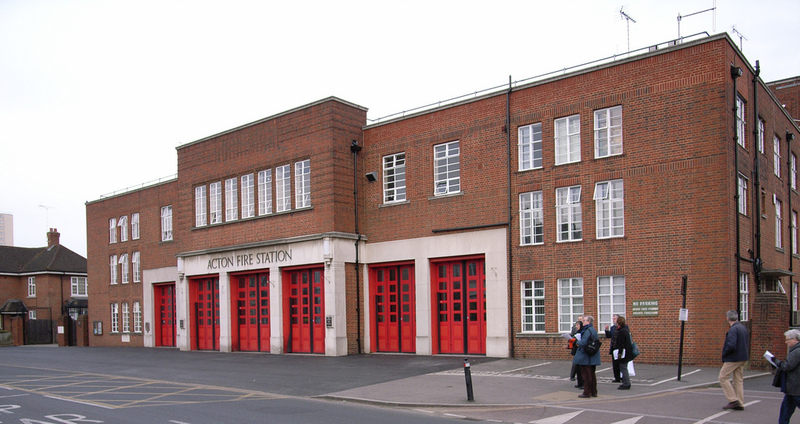 In Norwich, the 1930s Grade II listed fire station has a new role as a sixth form academy. And in Birmingham, a large and imposing old fire station, also protected by its Grade II listing, has been turned into student accommodation, while retaining many of its original features, including the fireman’s pole. More here. What should happen to York’s old fire station/chapel? This current planning application looks likely to be withdrawn. But another seems likely to follow. The buildings on the site already seem to tell a story of the previous century’s respect for interesting buildings. Will we show the same respect, or do we need to clear all buildings not protected by listing, in order to make more sites available for the much-needed housing?